NEW YORK – A probe by New York State’s attorney general into the fast-growing, multibillion-dollar daily fantasy sports industry has been expanded to include online media giant Yahoo Inc, a person familiar with the matter said. The move coincides with a court filing by Attorney General Eric Schneiderman on Tuesday seeking a temporary injunction that would shut down DraftKings and FanDuel, leaders among online companies offering paid-for daily fantasy sports contests. Yahoo, which operates a daily fantasy sports site, was issued a subpoena by Schneiderman, the person familiar with the matter said. The company was not named in Schneiderman’s Tuesday filing. 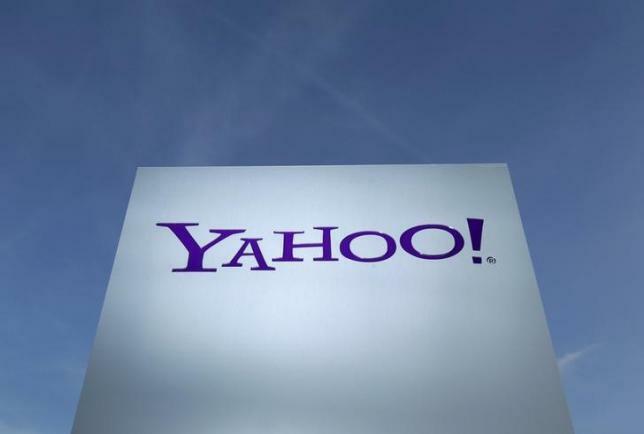 Yahoo does not comment on legal matters, a spokesperson said. “We are monitoring industry trends and events closely and believe that we offer a lawful product for our daily fantasy sports users,” the spokesperson said. In response to the state attorney general’s push for an injunction, FanDuel stopped allowing New Yorkers to participate in paid contests as of Tuesday afternoon. “We believe that this restriction is temporary and we hope to be able to offer our paid contests to New Yorkers again very soon,” FanDuel said. DraftKings, however, has pledged to continue running its business as usual in the state. A hearing on the injunction is set for Nov. 25. The move by Schneiderman, which was expected, followed a failed effort on Monday by the DraftKings and FanDuel to obtain a separate court order that would have headed off Schneiderman’s proceeding. Schneiderman last week sent cease and desist letters to the two companies, demanding that they stop taking money from players in New York state. While the letter established Schneiderman’s view that daily fantasy sports are illegal gambling, he must obtain a court order to shut the companies down in New York state. Schneiderman, in the legal papers filed on Tuesday, argued that daily fantasy sports contests are not games of skill, which are allowed in the state, but games of chance, citing the companies’ investor presentations and comments by their chief executives. For example, Schneiderman pointed to a DraftKings presentation to prospective investors that makes comparisons to poker and sports wagering. Moreover, the attorney general said the companies had “basic compliance issues,” encouraging their employees to play daily fantasy sports games on their competitors’ platforms. Schneiderman also said in the DraftKings complaint that nearly 90 percent of daily fantasy sports players lost money in 2013 and 2014, citing the company’s data. The injunction requested in New York is the latest threat to the daily fantasy sports industry. The two companies have become the subject of congressional inquiries as well as a ban in Nevada after spending hundreds of millions of dollars on television advertising in 2015.